One the best things about being a beer and food enthusiast is that once in a while you’ll discover a venue with a fantastic selection and atmosphere in a place you wouldn’t normally expect it. Vineyards of the World out in Clermont is one of those places. 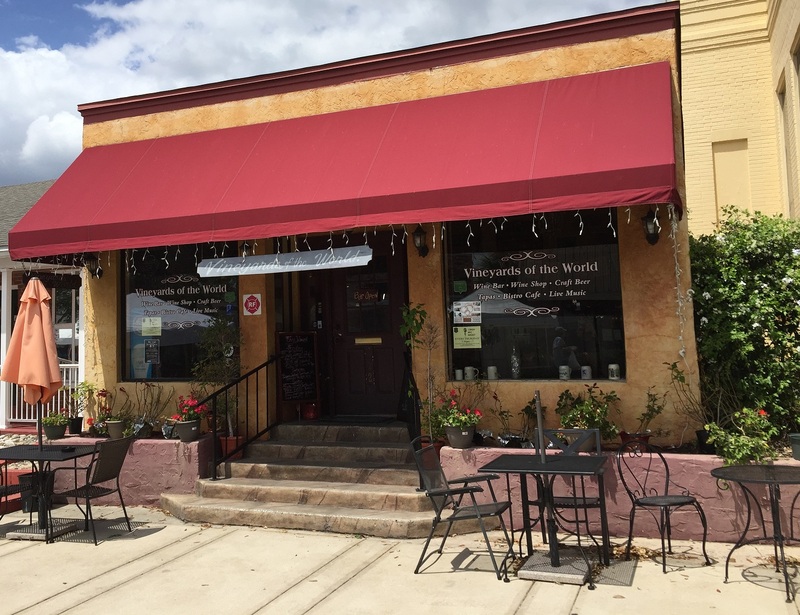 It’s what a true bistro should be: small, quaint, intimate, and a gathering place for locals and regulars. 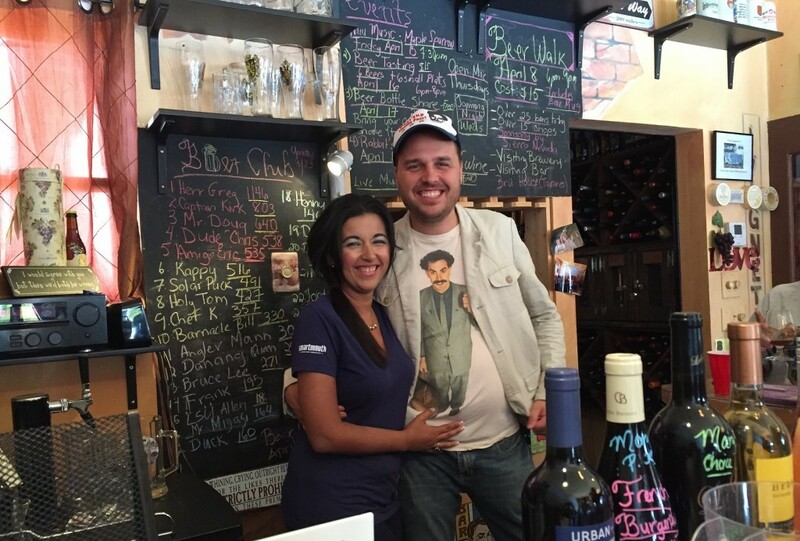 Though wine is their specialty, the owners are big into beer and even have a club wherein members’ unique beer purchases are chronicled. Yesterday, they hosted their first bottle share and I was there to partake in the festivities. If you’ve never been a bottle share, I highly recommend seeking one out or even hosting your own. In fact, I contributed to a book that explains it all: How To Host a Beer Tasting Party In Your Own Home: A Complete Kit (plug plug, wink wink). These events are great for people who are new in town to meet fellow beer enthusiasts and/or homebrewers, and make new friends (or at least drinking buddies). Also, you’ll probably get to try many beers you may never heard of before, or those that are too pricey and/or boozy to buy and drink solo. It’s not often you see these events hosted at bars, but it makes perfect sense in a cozy spot like Vineyards of the World. The owners, Sacha and Mary (pictured below), are fostering a close-knit community of snobs true grape and growler aficionados. Though they do serve charcuterie and tapas, the venue is not a restaurant per se. I got to try a warm Bavarian pretzel and two sausages; it definitely had an authentic taste to it as the sausage was sweet like a breakfast link and the pretzel was soft and salty along with a spicy mustard dipping sauce. They also provided several cheeses; a few creamy mild bries and a thick, soft, musty bleu. I’m a big fan of beer and cheese pairings, but I’m no cheese expert, so I’ll just link to some articles on beer and cheese pairings. Anyway, on to the beer discussion. 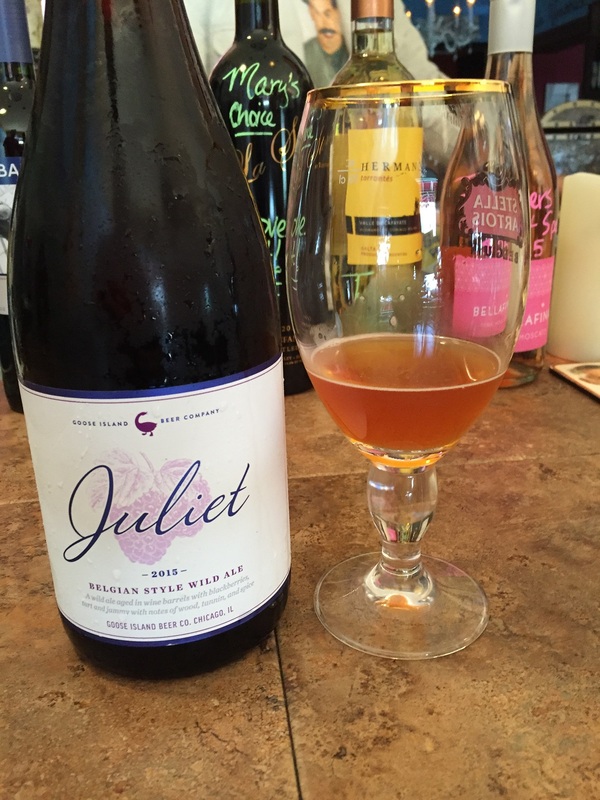 Juliet (2015) by Goose Island Beer Co.: You know you’re at a bottle share for veterans when the first beer of the day is a fairly rare and expensive sour (or any sour for that matter). Beers of this style are acquired tastes for sure; most people tend to love them or hate them. Juliet was one of the strongest sours I can recall having, though I will say it was better than I thought it would be. Not as good as some of Russian River’s wild ale series, but pretty good considering it’s an Anheuser-Busch/InBev product. Naughty Nellie by The Pike Brewing Company: There was no freshness date on the bottle that I could see, but most likely the bottle was old as it tasted of sherry, cardboard and tea: classic indications of oxidation. No one seemed to like it, though no one hated it either. The 1759 by Guinness: Yes, Guinness makes more than just the one beer. This is a rather bizarre product, though. It’s an imperial amber ale made with peated whisky malt. It was smoky and astringent with some sweetness, but the flavors seemed to clash. Why they didn’t just make a classic Scotch Ale/Wee Heavy I don’t know. You’d never peg this as a Guinness brew if you didn’t see the label. I didn’t like it, but several people among the group did. Tango by Weyerbacher Brewing Company: I was hoping this was going to be on par with some of Ommegang’s fruit beers. After all, it’s a beastly 10.6% ABV brew with cherries. I found it to drink like a “standard” Belgian strong dark ale, but I couldn’t really detect the fruit within. Probably not a good beer to follow the previous smoky brew, though the consensus seemed to be an enthusiastic thumbs up for this bottle. Rapadou Porter by Alewerks Brewing Company: Sacha and Mary said they are big fans of the Virginia-based Alewerks brewery and that this is one of their better brews. It was a thick, sticky, sweet concoction of treacle, caramel and coffee. Borderline cloying, but still pretty enjoyable. I could see this being a great dessert beer paired with cheesecake. Samuel Adams Stony Brook Red by Boston Beer Company: Every bottle share I’ve been to there’s always that one beer I roll my eyes at and then end up liking a lot. That’s exactly what happened with this beer, as it turned out to be a traditional, to-spec Flanders Red Ale. A delicious mix of sour, tartness, and a woody character. I know this beer has been around for years, and I’ll bet it’s sitting on shelves nationwide being ignored by beer nerds. I’d recommend picking up a bottle because you’ll probably be pleasantly surprised and it won’t cost as much as a Cantillon. 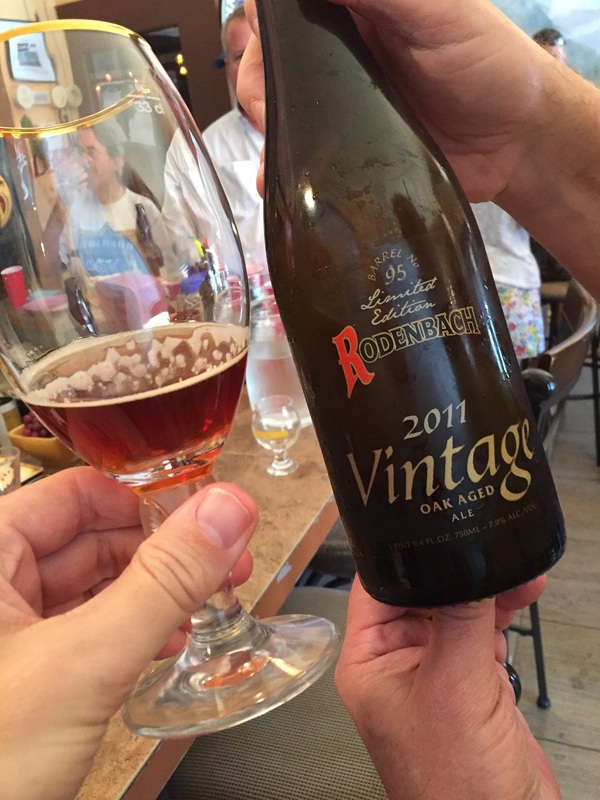 Vintage Ale (2005) by Fuller, Smith & Turner: British old ales and barleywines are some of my favorite beers of all time. Much like the previous beer, this is another bottle that tends to get overlooked at bottle shops since it’s usually pricey. In fact, this bottle cost £15 in England according to James – the guy that brought it. 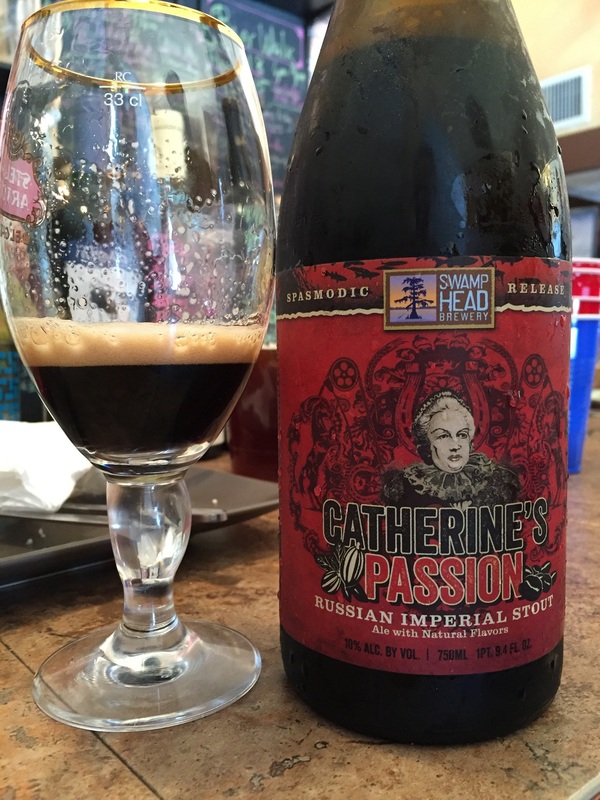 I have had this brew fresh, in fact, the 2014 vintage made my Top 10 Beers of 2015 list. But that bottle was only a year old at the time and this was well over a decade old. Thankfully, there was no obvious signs of oxidation, though I found the palette had mellowed a little too well. Notes of tobacco, light caramel and perhaps some vanilla were present and quite enjoyable. Everyone in the group liked this and it was actually voted best beer of the day when we wrapped up. Rodenbach Grand Cru (2011) by Brouwerij Rodenbach: This was the third sour of the day and another obscure, rare vintage ale. It was probably just as sour as the Juliet, but had a softer edge to it as it didn’t burn the throat or the sinuses as was the case with the Goose Island beer. There’s a reason these bottles are expensive and difficult to come by, but there’s also a reason this beer is so highly acclaimed. Best beer of the lineup for me. Morning Glow by Swamp Head Brewery: At only 5.3% ABV, this was the lightest beer that was shared. Described as a “vanilla coffee blonde ale” it only seemed to be half accurate. I got a little coffee on the first sip, but none after. 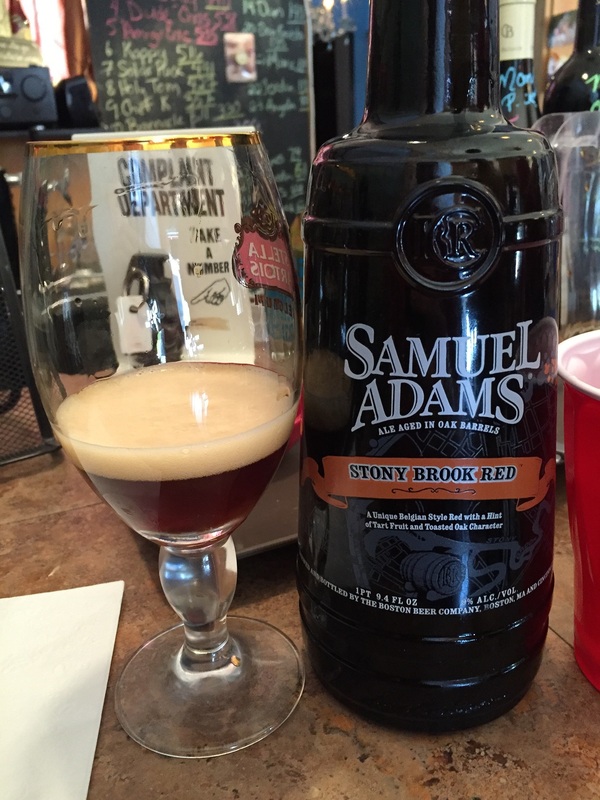 The vanilla was authentic and quite present on the finish, though the actual base brew was a little meh. DevESTATEtion (2013) by Sierra Nevada Brewing Co.: This is a fairly strong (6.7%) Black IPA that was a limited release at the time. Though a fine beer, I don’t know why someone cellared this as the hops had faded and it was clearly oxidized. Cellaring beer should only be done if there’s something to gain from the age; it works best for strong Belgians, sours, and barleywines. 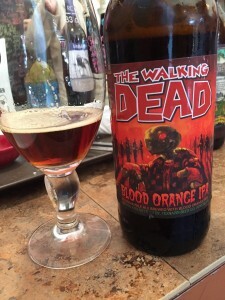 The Walking Dead by Terrapin Beer Co. : As a fan of both The Walking Dead (the comic book more than the TV show) and Terrapin brewery, I was really looking forward to trying this. Marketed as a “Blood Orange IPA” it was the only really hoppy beer of the day, but wasn’t the hop bomb I was hoping for. 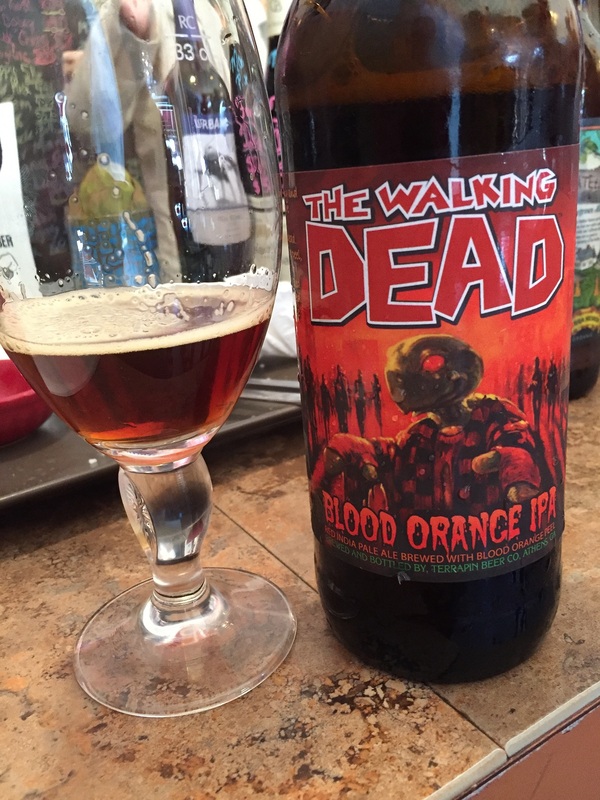 I didn’t get any blood orange quality at all (I’ve noticed that in several other similar brews lately). As red IPA it’s fine and maybe my palate was just a little too fatigued at the time to appreciate it. I would definitely review a standalone (preferably fresh) bottle on a clean palate sometime. 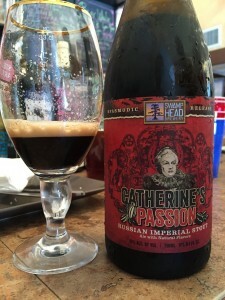 Catherine’s Passion by Swamp Head Brewery: I haven’t had a true, to-spec Russian Imperial Stout in a long time, so this was a nice reprieve. Full-bodied with robust caramel, chocolate and coffee notes. The alcohol was prominent, but not distracting. At almost 11% alcohol I’m glad I had just an ounce or two. Three Philosophers by Brewery Ommegang: I’ve had this beer many times over the years and it’s always been a great, enjoyable brew. 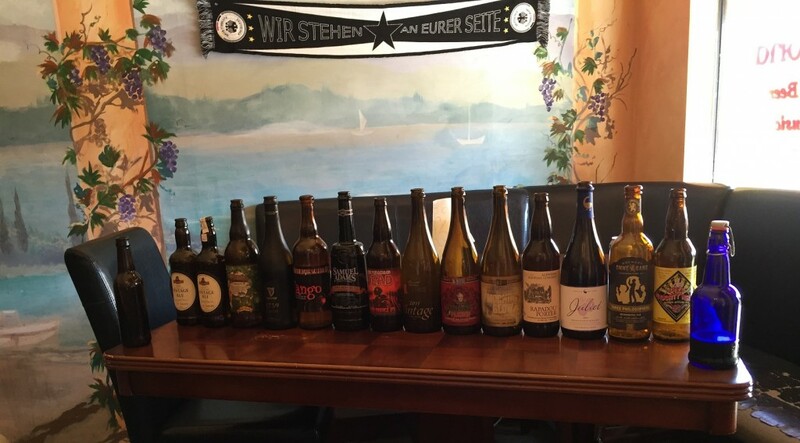 However, it loses a little something when drank as the finale of a three-hour-long bottle share. Instead of being excellent it was merely a very good Belgian quad. My tongue was a little too saturated to detect the cherry, but the classic Belgian character was certainly there and enjoyable. Bottle shares like this are going to take place at Vineyards of the World on the third Sunday of the month starting around 2pm (after the farmer’s market on the street wraps up). Even though it’s a 30-40 minute drive from Orlando, I’d recommend making the trip. If I lived in Clermont, I’d be a regular here for sure.